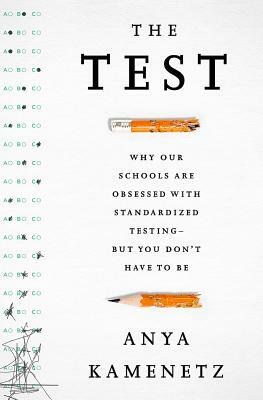 The Test is an essential and critically acclaimed book for any parent confounded by our national obsession with standardized testing. It recounts the shocking history and tempestuous politics of testing and borrows strategies from fields as diverse as games, neuroscience, and ancient philosophy to help children cope. It presents the stories of families, teachers, and schools maneuvering within and beyond the existing educational system, playing and winning the testing game. And it points the way toward a hopeful future of better tests and happier kids. Anya Kamenetz is the lead digital education correspondent for NPR. Previously, she worked as a staff writer for Fast Company magazine. She's contributed to the New York Times, Washington Post, New York Magazine, Slate, and O, the Oprah Magazine, and has won multiple awards for her reporting on education, technology, and innovation. She is the author of four books on education and technology, Generation Debt, DIY U, The Test, and The Art of Screen Time. She lives in Brooklyn with her family.